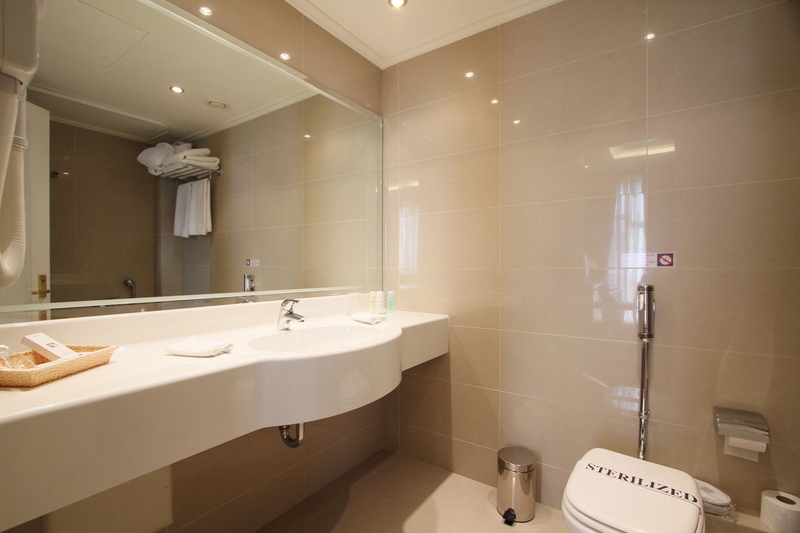 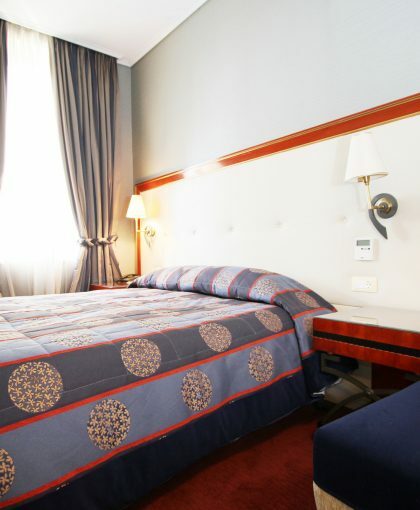 The Deluxe Rooms are located on the 2nd floor of the landmark neoclassical section of the hotel as well as the top floor offering spectacular sea views or panoramic city views. 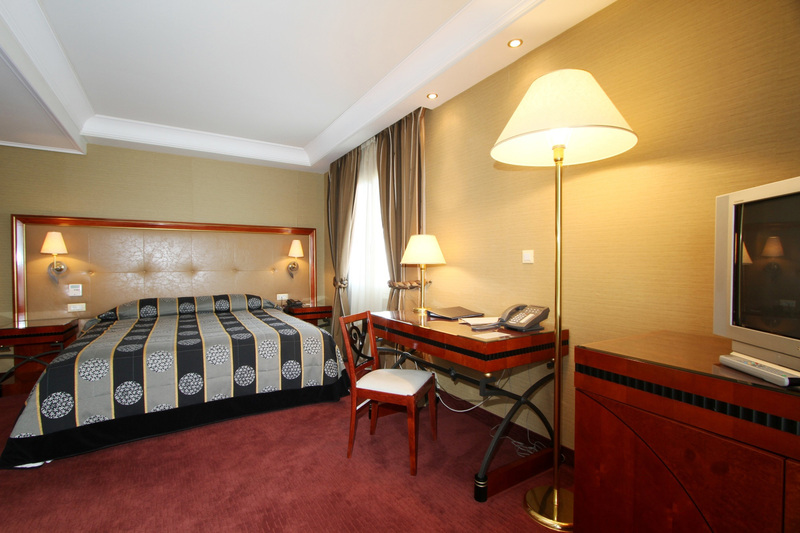 They are very detail oriented rooms, ideal for high ranked executives, as they are equipped with separate work desk and sitting area. Providing an average size of 45 sqm, the Deluxe rooms feature spacious balconies and high-ceilings, those located on the neoclassical section of the Hotel. 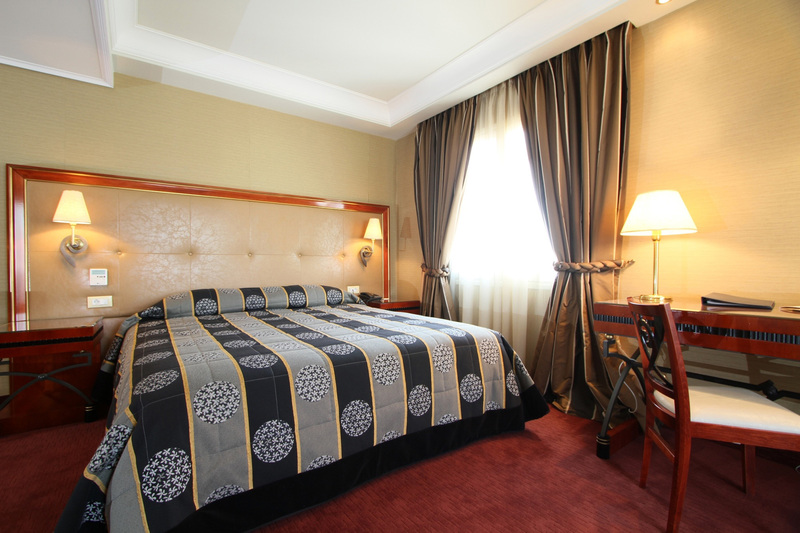 They are available with king or twin beds pampering all the hotel guests with beds of pure comfort. 40” TV with Youtube available for all Deluxe rooms.